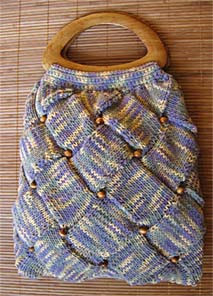 This is my second knitted bag. 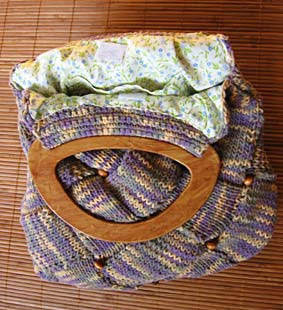 I used 2 skeins of Lidya from "Himalaya" yarns (Turkish yarn from local small manufacturer) and wooden needles. As a technique: entrelac. I embellished the knit with wooden beads. The handles are made of plastic. The lining is made from 100% cotton fabric. oh i love the bag! great job on entrelac. that is really an awesome bag! it's the first time i've seen entrelac embellished with beads. very pretty.